In the last few years, Imogen Clark has been touted as one of the most promising emerging singer/songwriters in Australia. Now, with three CMC nominations for Female Artist of the Year, New Artist Of The Year and Australian Video of the Year in her back pocket, she’s on the cusp of converting those accolades into wider critical acclaim. Her first single from the new album (title track Collide) was a CMC Country Pick and ended 2017 on the top of the CMC chart. Now with the release of her second single “Your Anything At All” she radio are keen to see her success continue to grow. 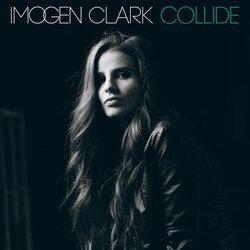 COLLIDE is Imogen’s highly anticipated sophomore album, produced by Mark Lizotte (Diesel). ‘Your Anything At All’ was written as a confident, defiant rebuke to ‘a recently ended, almost relationship.’ Pushing heartbroken subject matter aside, director Jeremy Dylan - collaborator on all of Imogen’s music video releases to date – has delivered an infectious, quirky narrative.